DO NOT NECESSARILY REFLECT THE VIEWS OR POSITION OF FBAA. Another article in Alachua County on how bail does not work but only for the rich while Poor people languish. Here you have the real facts and data below by Roche Surety proving them their recent article is false! Fast forward to April 30, 2018. Here are the facts: Alachua’s 2018 pretrial program cost is $1.8 million of taxpayer money. A 15% increase in cost over 2015! 2017 cost was $1665 per defendant! An increase of 19%!! Most Florida counties do not have a taxpayer funded pretrial release program and they have lower pretrial incarceration rates. As of the January 2018 report (latest report) Alachua’s incarceration rate is 19% higher than the statewide average. The pretrial detention rate is 13% higher than the statewide average. Sampling of the first 100 names of the 800 in jail: 7% “sentenced”; 46% “no bond”; 23% very high bond amounts due to the horrific nature of the crime; and bond amounts less than $5000 were only 5%. Only one was a bond less than $1000 and that person was arrested and released on April 30th. Only 5% of the pretrial population is likely safe and responsible to be released. The monthly County Detention Reports consistently shows only about 6% of misdemeanor defendants are in jail on any given day. Jail is extremely fluid. Most defendants (especially non-violent, low level offenses) are arrested, booked, and released very quickly. The jail facts above disprove your inference that many defendants with bonds of $1,000 or less or low level, non-violent offenses are sitting in jail because they cannot afford a bond. Article by California agent sums up the solution to government’s struggle with pre-trial release. We do not need another government takeover of another private industry. SB186 may be the worst bill to emerge from the 2011 General Assembly, and The Gazette hopes it won’t survive the Senate Appropriations Committee on Thursday. The bill would allow a judicial district to post the bond for a suspect, with the defendant paying interest to the courts instead of a bonding agent. At a bond rate of 15 percent, a suspect with a $10,000 bond would pay the court $1,500 in return for freedom. Half the money would pay for pretrial services, such as drug tests and monitoring services, and half could be returned to the suspect upon completion of the case. If convicted, the remaining money would pay fines, fees, costs, surcharges and restitution. The Gazette spoke with a variety of the bill’s supporters, who each believe it would create an additional option for suspects to get out of jail. We think they are mistaken. The Gazette believes SB186 would quickly establish a state monopoly, leaving suspects at the mercy of a system that sets bail, posts bail and profits from bail. “This puts us out of business,” said Bobby Brown, an El Paso County resident who may be the country’s best-known bail bondsman. The Gazette spoke with Rep. Mark Waller, R-Colorado Springs, who sponsors a House version of the Bill. We spoke with El Paso County Sheriff Terry Maketa, who supports SB186. We also spoke with Christie Donner, of the Colorado Criminal Justice Reform Coalition, who supports it. All are trusted sources respected by The Gazette. None could assure us the proposed system would reduce jail populations. None convinced us it would not destroy a private system that serves Colorado effectively. None convinced us the new system would work better than what we have. They just kinda-sorta think it’s a good idea. Under the current system, suspects go through the yellow pages and find an array of lenders eager to post bond for a fee. Bonding agents routinely make creative deals that result in lower rates, because most suspects cannot come up with 10 percent or 15 percent of a bond. They allow suspects to use collateral in lieu of cash. They assume the risk, and have every incentive to make sure suspects show up in court on time. They travel coast-to-coast to rein in suspects who skip court dates, protecting their reputations and investments. If SB186 puts private agents out of business, the burden of bailed-out suspects becomes the public’s. We will be left with 9-to-5 public employees to ensure that suspects appear in court. These employees will have nothing to lose when suspects skip court, because they will have nothing invested. We will likely have more suspects who cannot make bail in the first place. By state law, the courts will be able to charge defendants up to 15 percent of a bond and it’s unlikely our judicial employees will jump through hoops — as agents in the hyper-competitive private market do — to free defendants from jail. Public employees will make no more, no less if a suspect sits behind bars or goes free. Private agents, by contrast, profit from the release of suspects. That means they work hard to make it happen. Colorado cannot afford a risky foray into government bail-bonding, especially one that’s likely to kill a private industry that protects our interests and feeds thousands of taxpaying Colorado families. The system is not broken. Do not take chances with a flaky bill that attempts to fix it, with the potential of dire consequences. And just how long do you think this process takes? Is it long enough to justify the millions of taxpayer dollars going in to such programs? These are defendants who have been arrested for a crime and have not yet had their day in court. Why are they being coddled by the pretrial services programs and asked such intrusive questions? These defendants have not been found guilty, ordered to probation, drug or mental health programs or any other “program” as a condition of their sentence. Such heavy-handed “intervention” at the front-end is what your tax dollars are being spent on when most defendants can afford to simply pay a nominal fee to bond out of jail. And if they can’t afford a monetary bond because they are truly inidgent, let the Judge take the onus for releasing the defendant on their own recognizance. Research has proven that most defendants are able to bail out of jail within 24-72 hours. 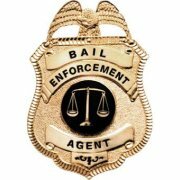 Bail agents are a critical component of helping to keep jail populations in-check. And the cost of bail to the defendant? A nominal fee of 10 to 15 percent of the bond in most states; this translates to approximately $100 – $500 maximum for most defendants. Contrast that with a pretrial services officer making from $16 to $25 an hour interviewing hundreds of defendants with their lengthy “risk assessment” tool and it adds up to substantially more than a bail bond would. Not to mention the time defendants remain in jail having to submit to such assessments when they could have been released on a bail bond using no taxpayer funds. Talk about affecting jail overcrowding!